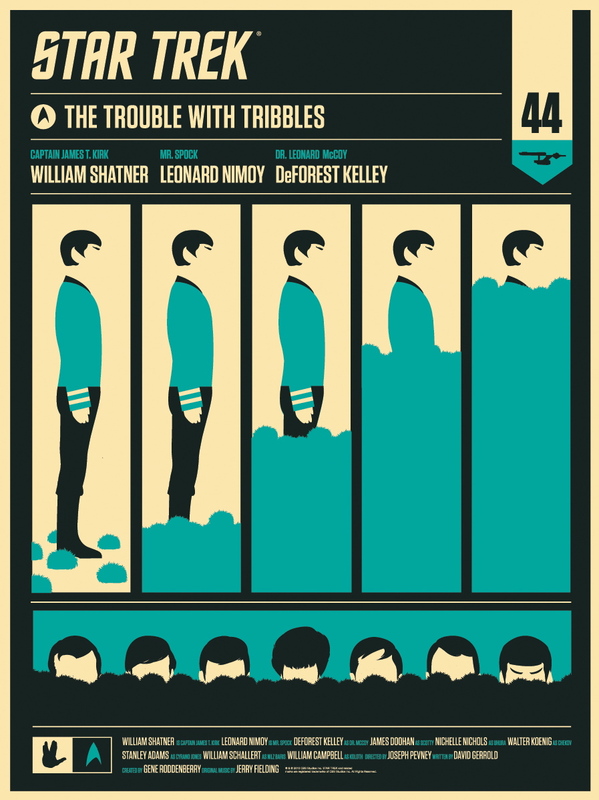 A brief message to note that the flags are flying at half-mast at mediateacher.net in appreciation of the recently departed Leonard Nimoy. This fine actor whose career became indelibly intertwined with his portrayal of the half-Vulcan half-human Mr. Spock in the Star Trek storytelling universe, provides such an inspiring example of the opportunities to connect with audiences as an artist and the ways in which media can evolve and adapt complex relationships to narratives that emerge over time. This includes exchanges with fans, including one from a fanzine in the 60’s which gives an inspiring example of the breadth and depth of this actor’s wisdom and sensitivity. Here in the pages of FaVE is a message about personal identity that is decades ahead of its time. On a personal note, I can attest that a few times stories have been shared with me by friends who were at intimate social gatherings — far from red carpets or sci-fi conventions — at which Mr. Nimoy was a participant and that his presence was warmly and genuinely beneficent, without fail. I would also encourage any who are interested in the work of Leonard Nimoy and his contributions to Star Trek to seek out his other work, including his photography, writing, and non-Spock acting such as Invasion of the Body Snatchers. 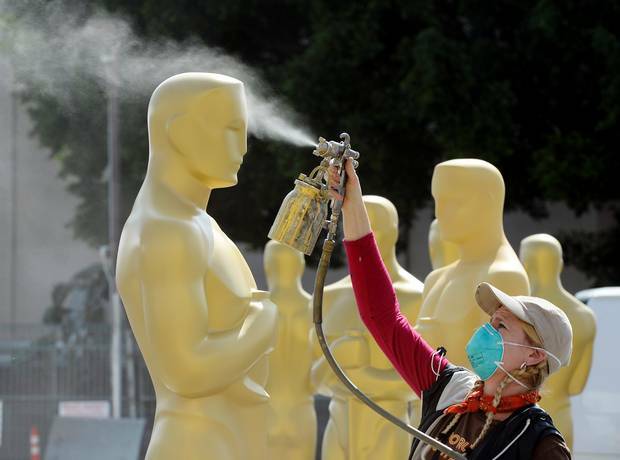 This year’s Academy Awards nominees feature some movies that are so full of media literacy lessons – like Boyhood which was discussed in an earlier post, American Sniper which will be the subject of a new post on mediateacher.net that will appear this week, Birdman or (The Unexpected Virtue of Ignorance) which features truly groundbreaking collaboration between director Alejandro González Iñárritu, cinematographer Emmanuel Lubezki (featured in Moving Images and a number of mediateacher posts), its actors including Michael Keaton, and percussionist and composer Antonio Sánchez, among others – and it will be very interesting to see the ones chosen in various categories by the Academy voters. The tricky relationship of history, truth, authenticity, and accuracy that has been seen in debates related to Selma and The Imitation Game as well as the multiply-controversial American Sniper is a key thematic core to lessons in Moving Images, and there will be upcoming posts that feature information and links within our already well-developed category of social studies-related media lessons. Meanwhile, for most of the general public, the categories for the short films are the most unknown quantities on the Oscar ballot. You might want to check out this piece by A.O. Scott for any last-minute info and for a short film that shows the nominees for animation. One of the animated shorts, Me and My Moulton, is by Torill Kove, who directed past winner The Danish Poet, which is available with other past winners on an excellent BluRay by Shorts International. 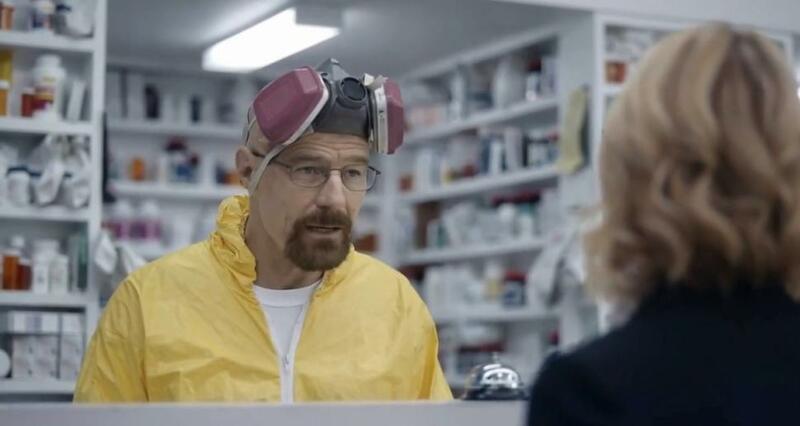 In a sly ad that played during this year’s Super Bowl, one commercial messed around with our media literacy backgrounds through the familiar context of the local pharmacy: Bryan Cranston made a new appearance in the Walter White persona from Breaking Bad to advertise issues of trust and authenticity related to an insurance company. This piece was penned by Kevin Goff, copywriter and creative director for advertising agency Leo Burnett of Chicago. Yes, that Kevin Goff — our interviewee for Chapter 3 (Sound and Image) of Moving Images. For those wishing to pursue further explorations of principles of communication linked to short-form pieces and advertising, you might want to check out the earlier post What Exactly is that Movie? As a matter of fact, I will be using it for the next couple of weeks in my own classes. You will find lots of fun material to learn from, debate, and play with.